A public consultation has been launched on ECHA’s draft Strategic Plan for the next five-year period. By 2023, ECHA aims to become the main source of scientific knowledge and technical know-how on chemicals, serving a wide range of EU policies and stakeholders. The plan lists three strategic priorities that are to be achieved through the implementation of a set of administrative and regulatory actions. ECHA welcomes your comments on the draft document for consideration when deciding on the Agency’s future direction and priorities. The deadline for providing comments is 4 May 2018, 23:59 EET (Helsinki time). Are you in the correct SIEF? If you realise that the substance you pre-registered is clearly different from that of the other pre-registrants, you may want to join another substance information exchange forum (SIEF). This may also be the case if you find out that your substance is different during discussions on substances sameness. It is important to remember that whether you find a more suitable SIEF or not, you must register your substance using the correct identifiers, which have to be consistent with the analytical data on your substance, even if they are different from the ones used in your pre-registration. The lists of pre-registered and registered substances are useful tools for looking for a more suitable SIEF. Take a look at our Q&A for more advice. Are you preparing to register for the 31 May 2018 REACH deadline? For useful advice and tips, join our Q&A session where you can ask our expert panel about all aspects of registration – from knowing your portfolio and finding your co-registrants to preparing and submitting your registration dossier. 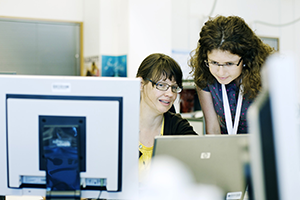 To help you prepare for the 31 May deadline, ECHA will keep the dossier submission and communication tool REACH-IT open 24 hours a day, seven days a week. The tool may be closed on Monday mornings from 7:00 to 10:00 EET (Helsinki time) for scheduled maintenance. 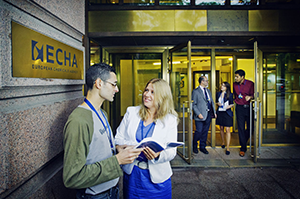 Support through ECHA’s Helpdesk is available during ECHA’s business hours as usual. 18 037 registrations have been submitted for 7 452 substances manufactured or imported in amounts from 1 to 100 tonnes per year. The most registrations have been filed from Germany, the United Kingdom and France. The IUCLID Cloud for SMEs is as secure as any other ECHA service storing confidential business information, such as REACH-IT, R4BP and ePIC. Read more about the security aspects of the ECHA Cloud from our new security statement. Successful substitution requires tools to help you find the most suitable methods for framing your substitution project and analysing available alternatives. They can also support you in finding relevant substance data and partners. This webinar will give you an overview of some of the available tools to help you make the transition to safer chemicals. The consolidated opinions of the Committees for Risk Assessment and Socio-economic Analysis on the use of sodium dichromate (EC 234-190-3) by HAPOC GmbH & Co KG is available on our website. tolclofos-methyl (ISO); O-(2,6-dichloro-p-tolyl) O,O-dimethyl thiophosphate (EC 260-515-3, CAS 57018-04-9). tetrakis(2,6-dimethylphenyl)-m-phenylene biphosphate (EC 432-770-2, CAS 139189-30-3). The webinar explains what the unique formula identifier (UFI) is and how it can be used. It also describes available tools and support for generating and using the UFI for hazardous and non-hazardous mixtures. We will give you practical examples of different ways of using the UFI, and you will have the chance to ask our experts your questions. Our Biocides Day on 24 and 25 October 2018 gives insight into the latest developments in biocides at EU level and provides a platform to discuss what should be improved. 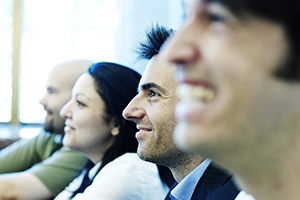 IT tool training and one-to-one sessions are also on offer.